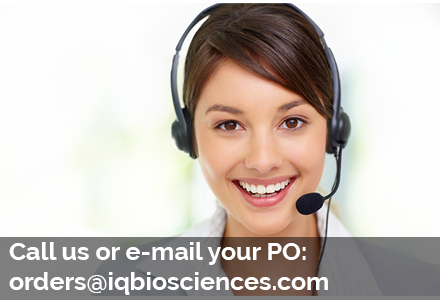 PBMCs are isolated from fresh peripheral blood by performing a density centrifugation at room temperature to remove red blood cells. 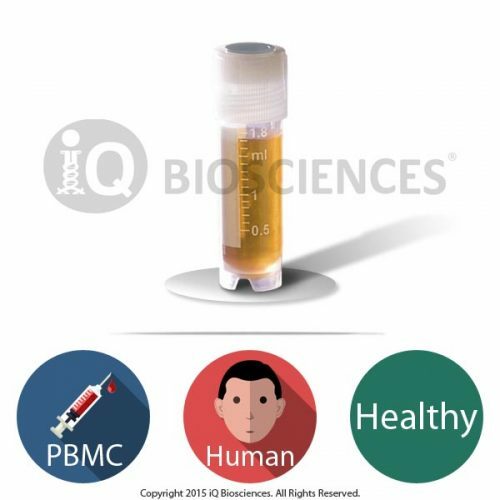 iQ Biosciences performs this process under sterile conditions by using ficoll, a high molecular weight sucrose solution from GE Healthcare. Depending on the species of whole blood, either 1.077 or 1.084 g/ml ficoll is used, resulting in a perfect layer of mononuclear cells that are separated from plasma, platelets, granulocytes, and erythrocytes. Additional quality control steps are taken to isolate and prepare PBMCs that ensure the highest viability for cryopreservation and downstream experimental applications. PBMCs include a variety of lymphocytes, including T cells, B cells, NK cells, and monocytes (from most abundant to less frequent). In humans, the frequencies of these populations vary across individuals; however, there are well-established reference ranges for each cell type. There are multiple benefits of using cryopreserved PBMCs, including convenience and reduced experimental time required for cell isolation. For single experiments that require multiple donors, frozen PBMCs allow for uniform analysis of multiple samples simultaneously. Our data demonstrate that our cryopreservation methods have no adverse effects on PBMC functionality in immunological assays when proper isolation, cryopreservation, storage, and thawing techniques are followed. 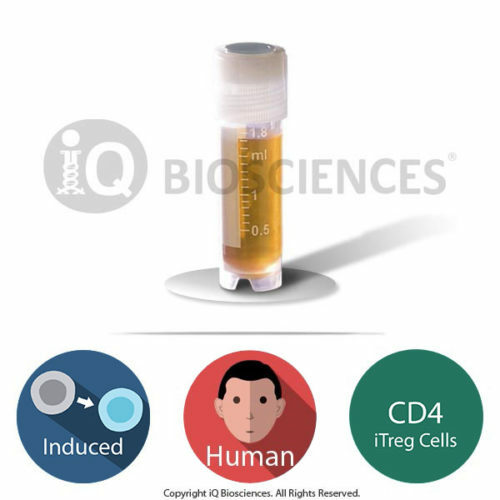 These critical factors are important in maintaining viability and functional potential of lymphocytes for immunophenotyping, proliferation, cytokine release, and other assays (ADCC, ADC, CDC) upon recovery from cryostorage.